Many of you responded in a positive manner regarding this earlier post, so I thought I would talk a little more about this subject. The value of courtesy in the workplace is sometimes hard to measure and I wanted to talk about one or two more particular points in today’s brief post. Certainly it is easy to remember when we have been treated well, but even more so when we are not treated well. It is said that customers who have a bad experience will tell 10 of their friends and I suspect that number is not valid now with the advent of social networks such as Facebook, LinkedIn and Twitter. I know from my own personal dealings that I have used Facebook and Twitter successfully on multiple occasions to gain assistance when I have had difficulty with a product or service. My key point today is in the value of the handwritten note in conveying a level of thanks to another person when they have been of assistance. I go through spurts where I do this well and then I go through dry spells where I fall away from this practice. I once worked for a man who did a great job in writing handwritten notes. He had a master list he worked from and he would write 5 handwritten notes each day as part of the first thing he would do. I know these notes were valued by many and I still possess one that was sent to me almost 20 years ago. 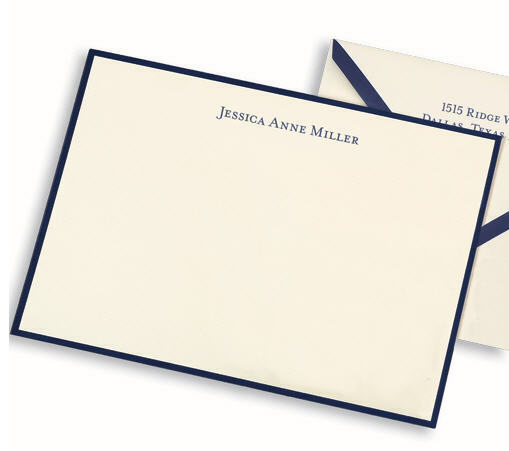 Do you write handwritten notes? Do you receive them? What other ways do you know of to show or convey courtesy in the workplace?